We Sell your Car For You, For Free! Welcome to “Free to Sell” Cars, Northland’s largest independent used car dealership. With our unique mix of stock for sale on behalf of private sellers and our own hand selected vehicles, we are able to offer a comprehensive range of quality motor vehicles. At Free To Sell Cars the customer comes first. That’s why we have over 15,000 satisfied customers to date. We are Northland largest second hand vehicle dealer. With over 100 vehicles in stock we always have something for everyone. All vehicles are painstakingly appraised by us, serviced and WOF’D up to date before delivery. We have ongoing relationships with all the major lenders and our staff are all trained to be able to offer the best suite of solutions to suit your circumstances and budget. Wanting to purchase from out of town? No problem. We can deliver anywhere in New Zealand with recognised carriers who deliver on time and in good condition. With over 100 cars in stock we have something for everyone. With vehicles priced from $3,000 up to $60,000 we can satisfy most budgets. At Free To Sell Cars we can sell your car for you! For Free! Simply come down to the yard and we will appraise your vehicle and agree with you a price you want to receive. With over 100 vehicles in stock we always have something for everyone. With vehicles priced from $3,000 up to $60,000 we can satisfy most budgets. Whether you are towing a double horse float or need a new hatchback for Gran, come to Northlands largest and best, Free To Sell Cars. You may need finance for your vehicle purchase. We have ongoing relationships with all the major lenders and our staff are all trained to be able to offer the best suite of solutions to suit your circumstances and budget. Learner’s License, bad credit... Try us, you might be surprised. 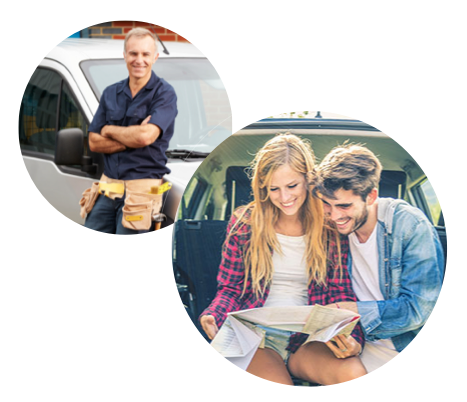 We also offer a full range of insurance products to make sure you are covered if anything goes wrong with your employment or the car in the future.